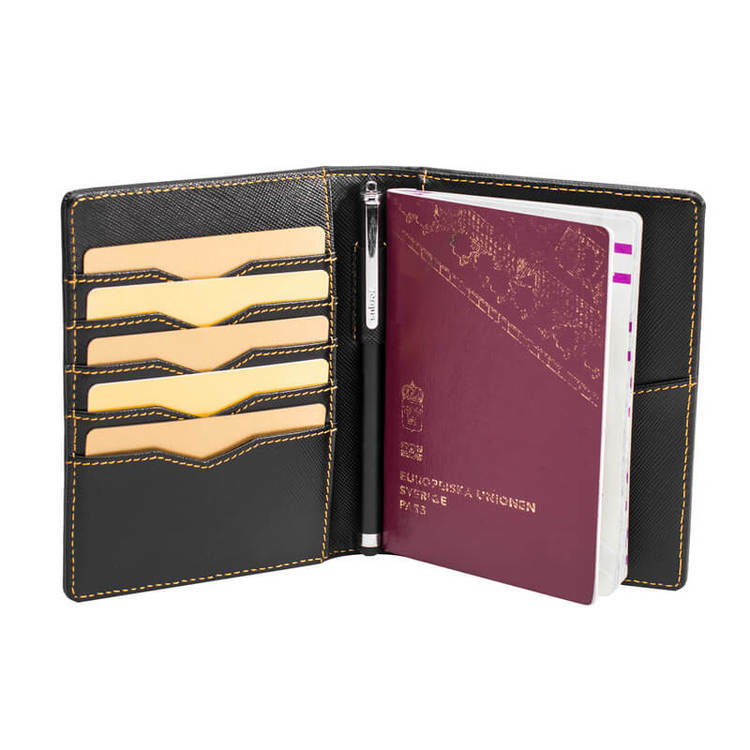 Keep your passport and travel documents safe and organized. 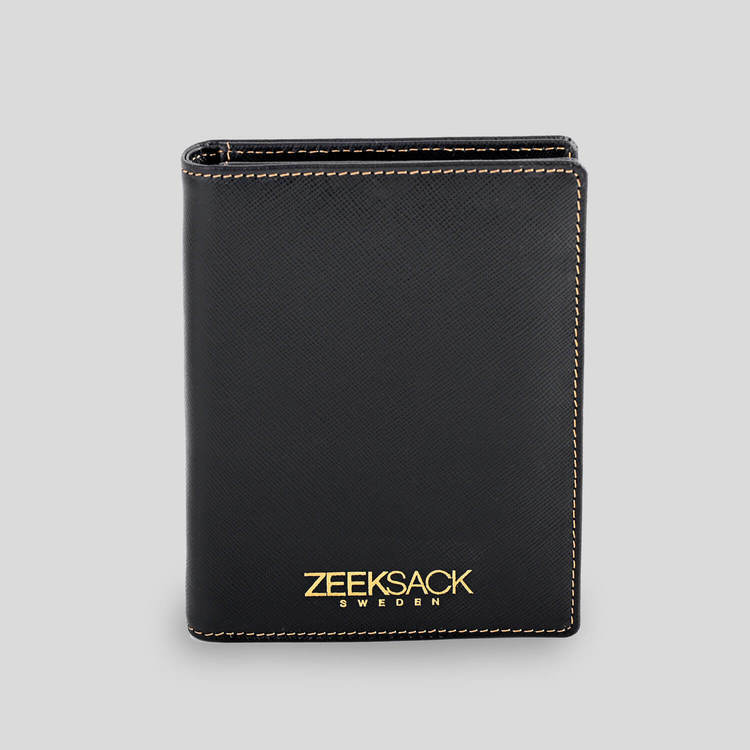 Our full grain Saffiano-Leather Passport Cover is your best friends at all airports. 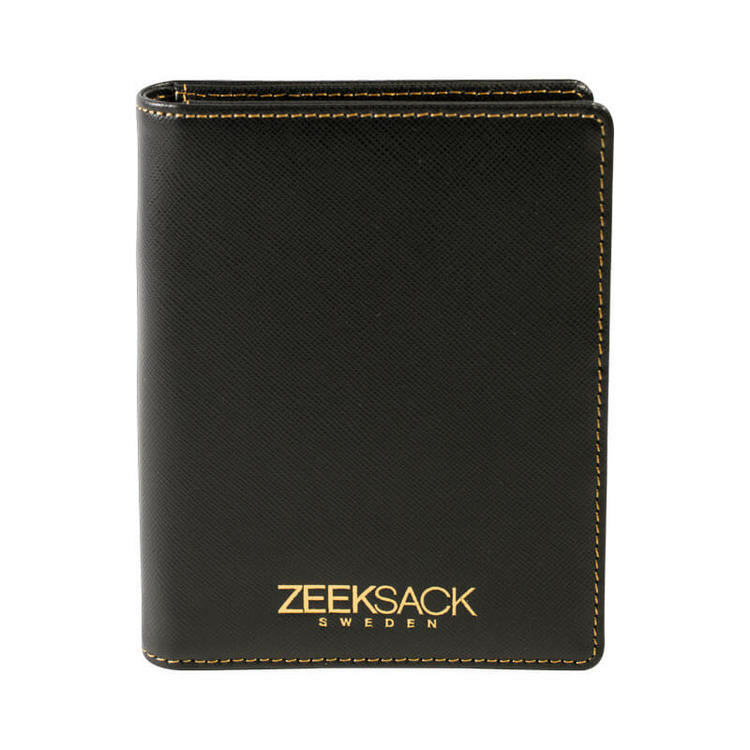 Fits not only your passport but five member cards, some bills, and your most necessary travel documents. 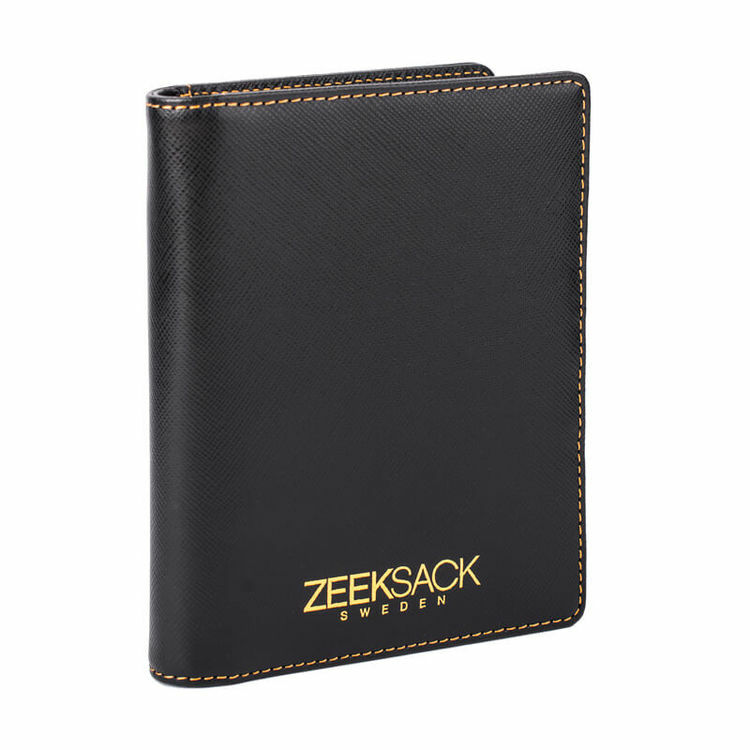 And of course a place for your favorite travel pen. 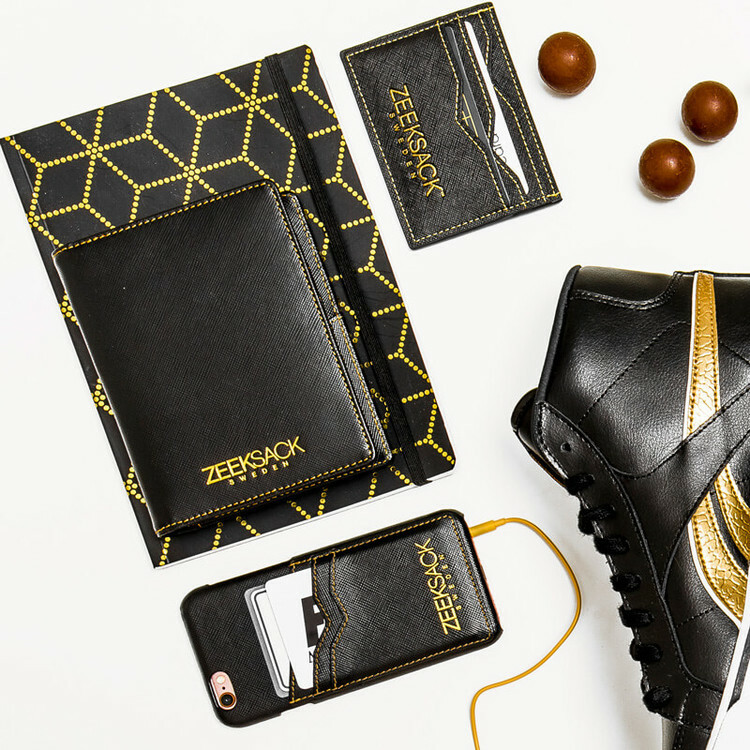 NOTE; that leather is a natural material and will form after your specific usage. 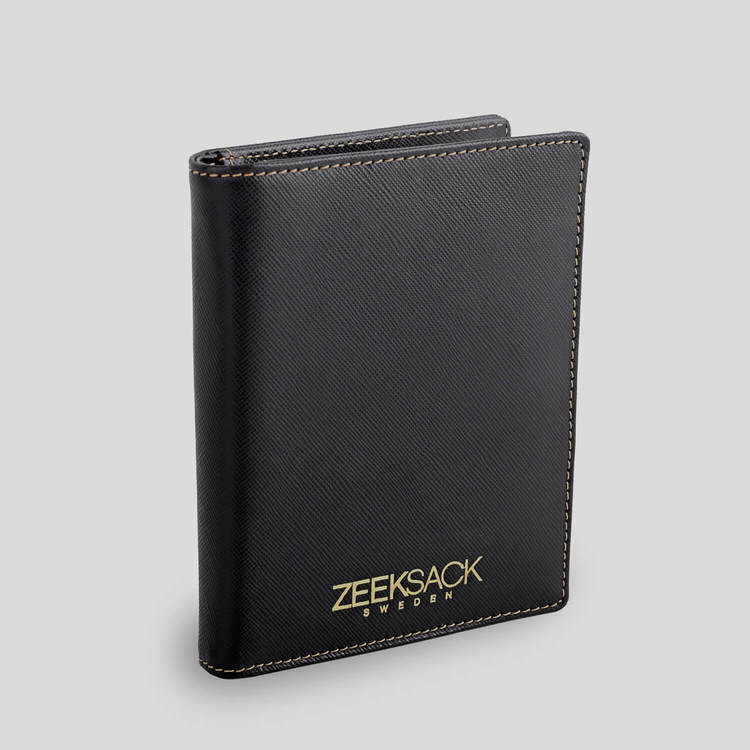 This means the card slots may seem tight in the beginning, but be patient though, the leather stretches and forms to the perfect fit for your specific cards, without losing its stability and good looks.